Sierra Wireless to provide 2G, 3G, and 4G LTE AirPrime® modules to connect Itron smart meters in worldwide deployments, providing real-time information to help utilities and their customers manage energy usage. Sierra Wireless today announced that Itron has selected Sierra Wireless’s AirPrime® 2G, 3G, and 4G LTE cellular modules for Itron’s OpenWay® smart grid solutions worldwide. Itron and Sierra Wireless have collaborated to serve joint customers in the energy industry for several years. 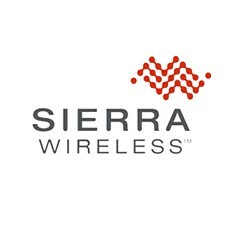 In selecting Sierra Wireless as a modem provider for its OpenWay solution, Itron considered Sierra Wireless’s leadership in 4G LTE, its strong relationships with mobile network operators worldwide, and its ability to provide broad global support with pre-certified modules for multiple markets around the world. “Our strong history with Sierra Wireless, the company’s global reach, and its experience in providing wireless solutions for the energy industry, have made this collaboration the logical choice to provide the highest level of service to our North American and international customers,” said Jeff Carkhuff, Vice President of Global Solutions Marketing at Itron. 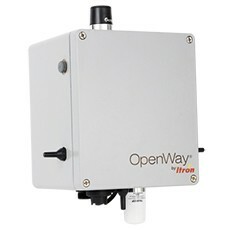 “Itron’s OpenWay smart grid solution offers a great example of how cellular connectivity to the meter can provide benefits for individuals and businesses worldwide,” said Dan Schieler, Senior Vice President, OEM Solutions for Sierra Wireless. Sierra Wireless AirPrime modules make it simple for M2M solution providers to develop applications that are scalable and secure. AirPrime Smart modules are supported by fully integrated software and cloud-based services to reduce deployment costs and accelerate application development. AirPrime Essential modules are ideal for M2M solutions that require easy integration and upgrade paths across a wide range of air interfaces. For more information, please visit www.sierrawireless.com/AirPrime. Sierra Wireless has more than a decade of experience in wireless data communications for utilities and energy infrastructure, providing secure, end-to-end cellular connectivity solutions that help customers increase operating efficiency and monitor consumption levels in real time. For more information about Sierra Wireless solutions for the energy market, please visit www.sierrawireless.com/energy.